This entry was posted in flowers, Garden Journal, gardening, My Blog and tagged garden journal, gardening. Bookmark the permalink. Those are beautiful pages. They remind me so much of my mother’s garden. She had a stand of purple cone flowers. I even grew up with that very same birdbath. Thank you so much! That is amazing that you grew up with the same birdbath! Mine belonged to my aunt and I rescued it when she moved into a retirement home. Finn loves to be with me while I’m gardening, but he has a bad habit of jumping up into the vegetable beds and trampling on the plants! Also he likes to help me dig, Which is why we had to put the fence up to keep him out when I’m not there to supervise! You have a great week too! 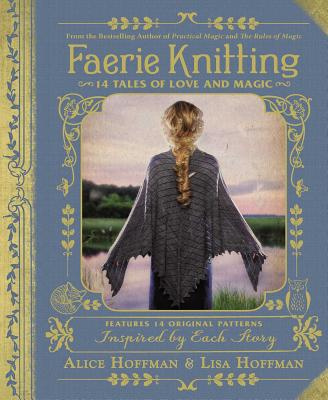 Your journal is amazing, and so beautiful…something to keep and enjoy forever. Good luck with all your projects. You sound like a very busy lady! Thanks, Carolee! 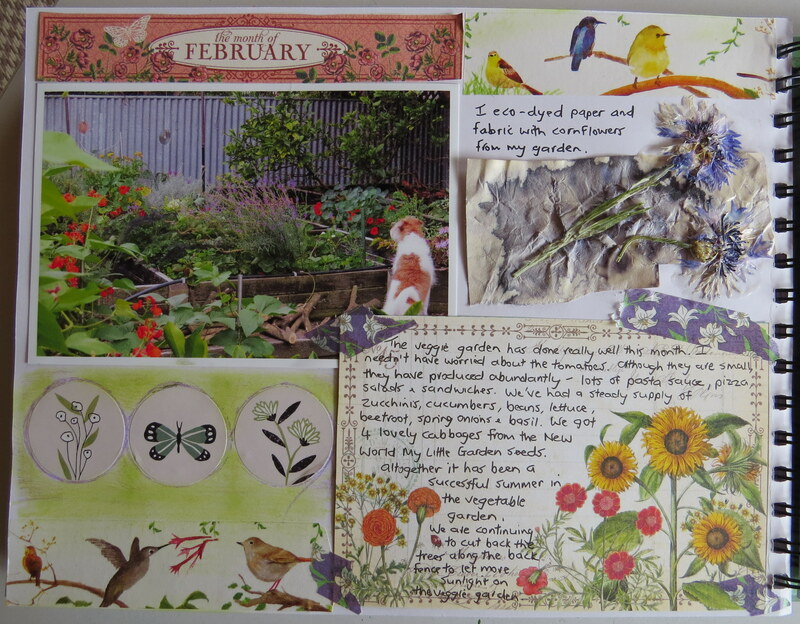 I love keeping a garden journal. It is fun to work in and to be able to look back through the pages and see how the garden changes from season to season. I love to be able to pick food straight from the garden and to grow things I can use in skin care products and in my art. Thanks for visiting! Thanks, Violet! 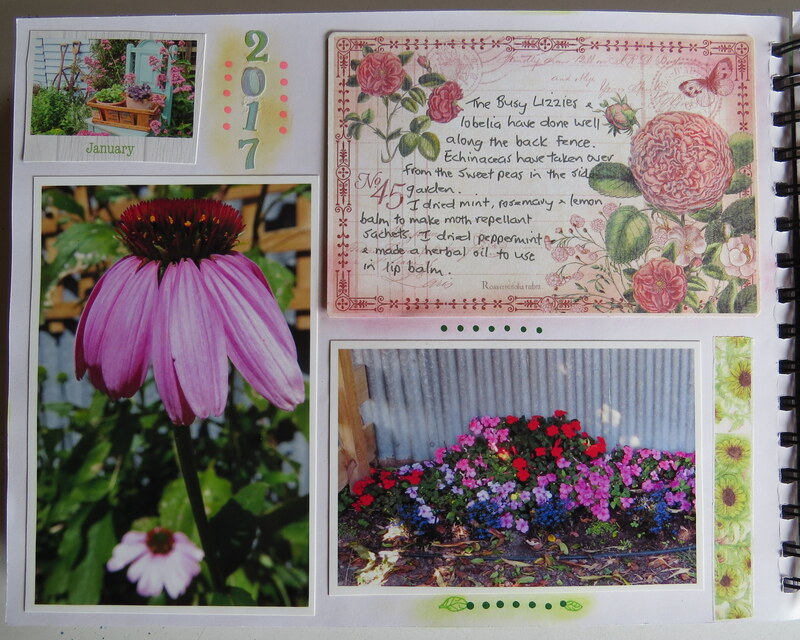 I have been keeping garden journals for a few years now and enjoy looking back through them to see what I grew each year and how the garden has changed over the years. Thank you so much, Vanessa! 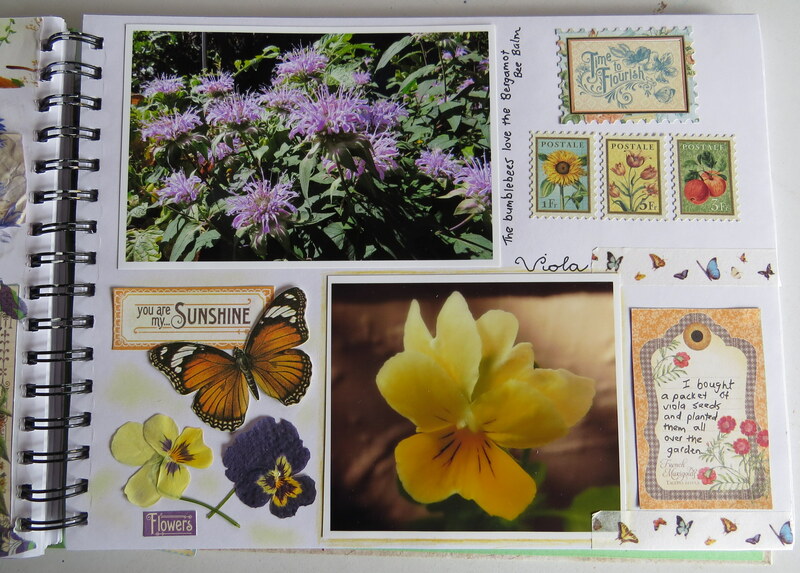 I love journaling with photos, pretty papers and ephemera. It indulges my love of papercrafts as well as recording memories of my garden to look back on. Thanks, Linda! I love to take photos of the garden. There is always plenty to fill the pages over the summer months. So fun to see all your pretty pictures of flowers when we are in the middle of winter here, even though our temps have been in the 70s lately and should be in the 40s. It has been a hot, dry summer here. I love the summer garden, but I also look forward to the autumn, when the temperatures are a little cooler and there is not so much work to do in the garden – more time for writing and art! It sounds from your temps as though you might be going to have an early spring! 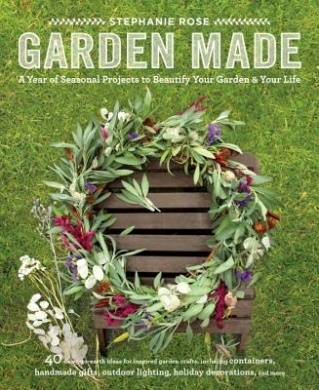 I am loving’ your gardens. and these pages are amazing, I should start one. thanks for the great inspiration! Thanks, Heather! 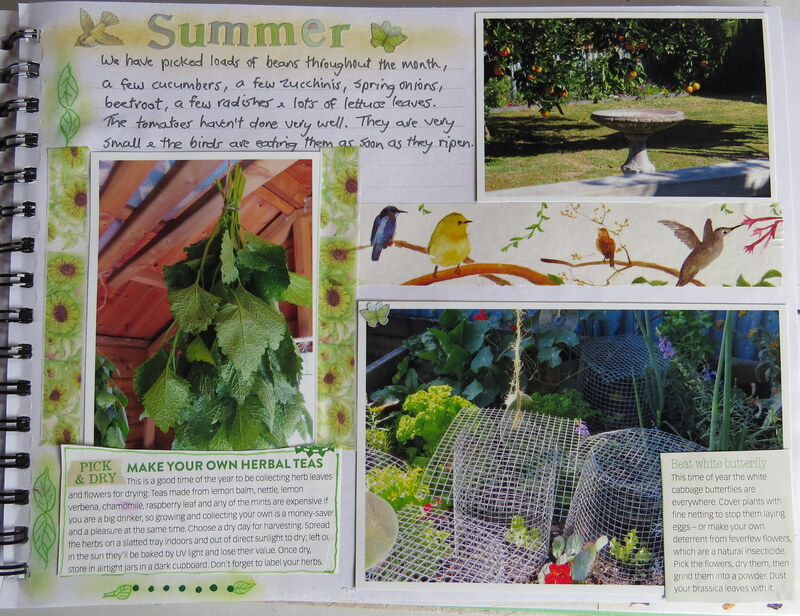 I love being able to combine two of my favourite things – gardening and art journaling. Thank you for your comments!